The music playing is 'Sedona Hummingbird' by Great Heart. If you prefer to view the website in silence simply hit the mute button on your keyboard! We have a message board! Visit it to post comments and ask questions. 19th century watercolorist and first artist to paint the Dome of the Rock! 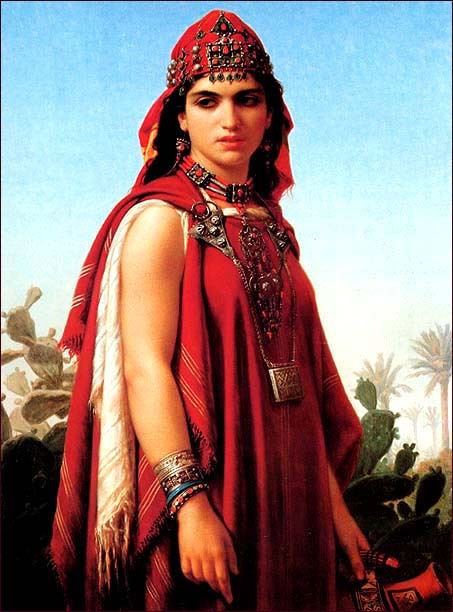 'Berber Woman' by Emile Vernet-Lecomte, French. Oil, 1870. In July of 1798 Napoleon marched into Egypt with an army. He defeated the Turks at the battle of the Pyramids, stayed for a year and then was driven out by the British. In the small amount of time that he was there he managed to do what he did best: he changed everything. Following him came first a trickle and then a torrent of westerners into the Near and Middle East. The writers who wrote about their experiences and the artists who painted what they saw became known as the Orientalists. They traveled through Turkey, Iraq, Persia, Egypt, Lebanon, Palestine, Arabia and North Africa. With time this became an art movement and today we call it Orientalist art. I created this virtual tour to share the incredible beauty that these artists created. 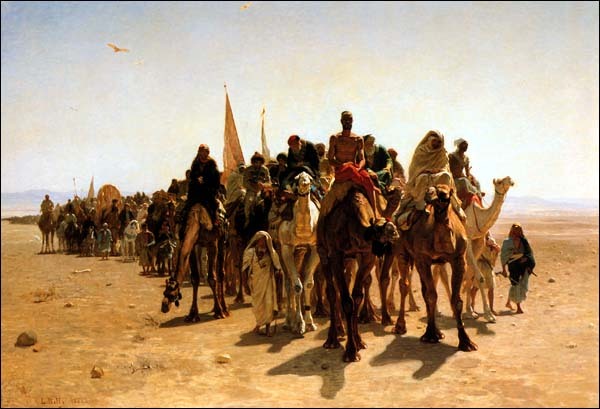 'Pilgrims going to Mecca' by Leon Belly, French. Oil, 1861.